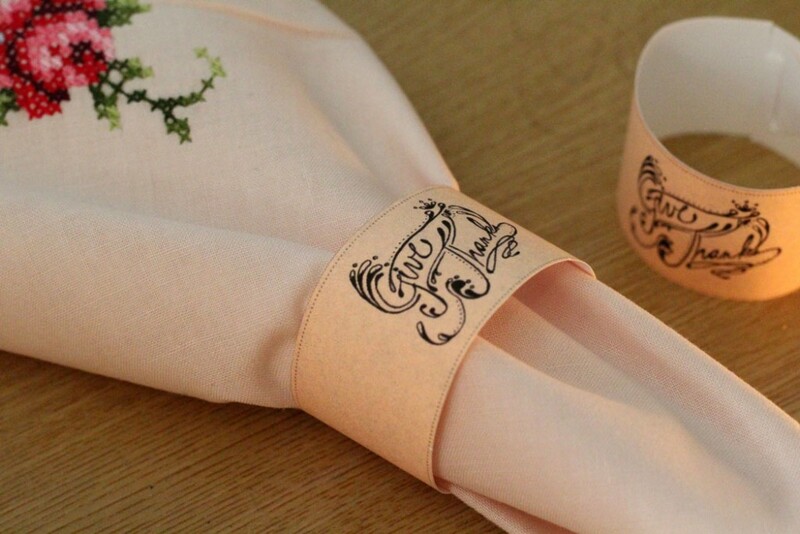 Home Crafts Free Printable Thanksgiving Napkin Rings – no gluing! 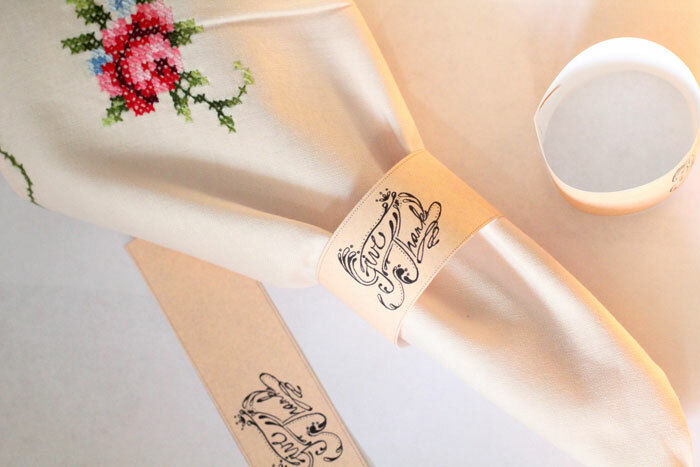 Free Printable Thanksgiving Napkin Rings – no gluing! If you’ll be hosting a crowd, and want an elegant, inexpensive, and painless way to set the table, these free printable Thanksgiving napkin rings are just what you need! They are made with an easy-to-use lock tab closure so you don’t need messy glue, or ugly tape. They also print in black and white for those of you who don’t have a color option. Last week’s freebie (that was actually published on Monday) was hand-drawn, and I decided to go that route again. I used to do all sorts of typography doodles, and wanted to give it a try again. 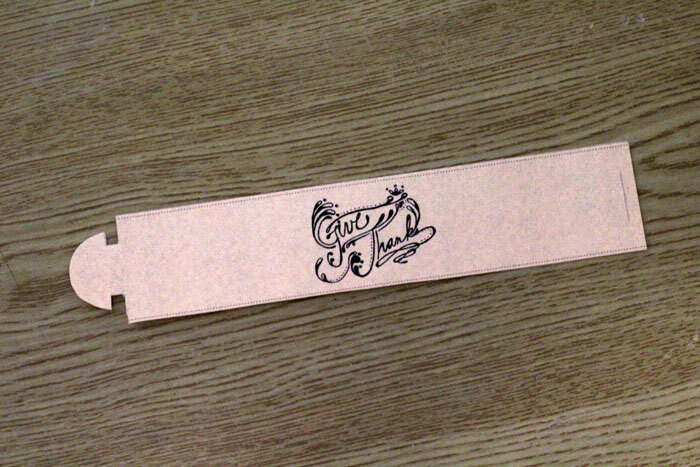 So I doodled “give thanks” and then put it on these napkin rings. To accommodate those of you who might not have a color printer, or who are trying to limit color printing, I decided to design this one to look great as a black and white print. You’ll obviously want to print it on a nice paper. 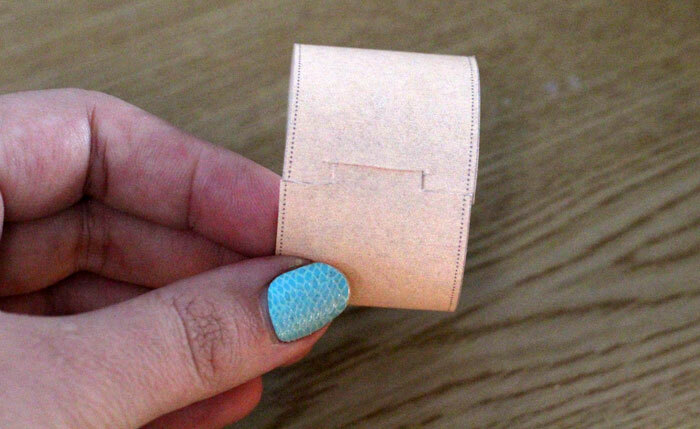 For those of you who DO want a color print, and don’t want to invest too much in your papers , I also made a “kraft paper” background that you can print, and then print your napkin rings on top (as I did). I definitely recommend thicker papers, such as card stock, when possible, but if you’re just using it once, regular paper will work too. You’ll need your printout (above) and scissors. I do recommend having a craft knife available for the slit, but it’s not a problem if you don’t. 1. 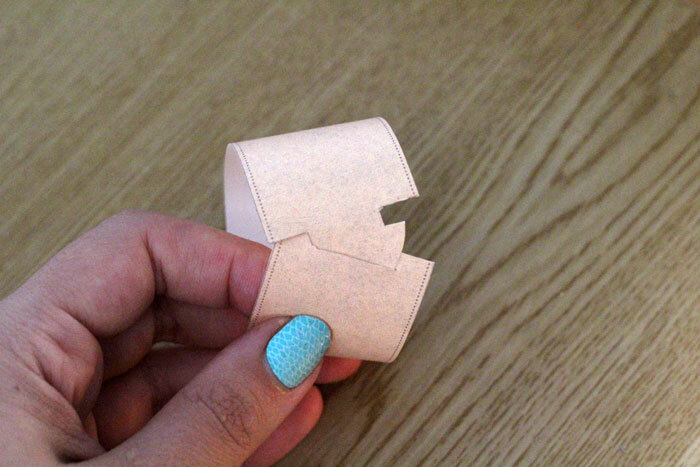 Cut out the napkin ring around the edge, including the slit. You might want to make the slit slightly large than I made it, as it will be easier to assemble. 2. Insert the half-circle on one end into the slit on the other from outside to inside. 3. Pull the half circle totally through so that your napkin ring is complete. These free printable Thanksgiving napkin rings have an old-time feel, and look amazing with vintage linen napkins. 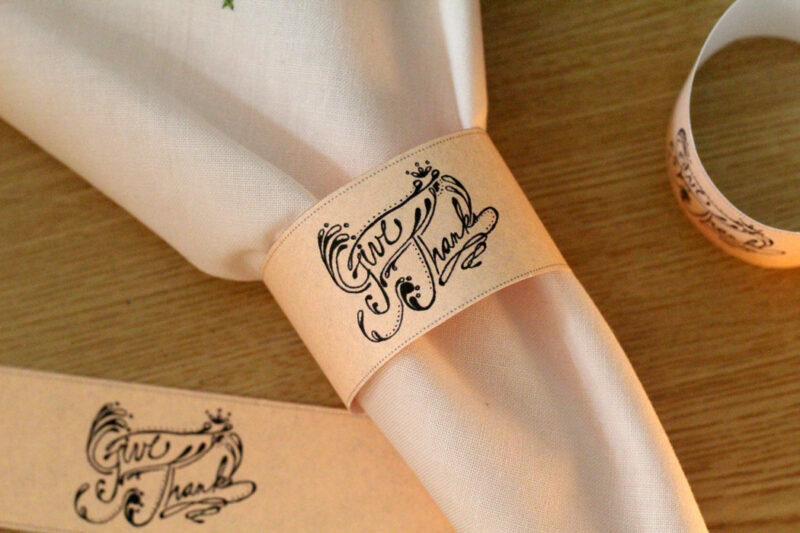 Once again you can download these Thanksgiving napkin rings here. I hope you love them! Autumn crafts, Crafts for moms, Free Printables, Holiday and Seasonal crafts, More printables. Bookmark.